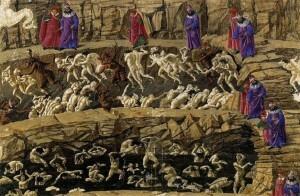 1 What Does the Bible Teach about hell? 6 Do People Choose to Go to Hell? Traditionally, the most prominent view regarding eternal damnation is that the people cast into hell — the lake of fire — will suffer fiery conscious torments forever and ever. Depicting the horrors of this belief was a favorite subject amongst artists in medieval times, resulting in all manner of imaginative and ghastly portraits of people suffering unending agony. Some have since tried to modify this position a bit, suggesting a more metaphorical view, that the unending pain experienced probably refers to the mental anguish of eternal loss and “separation from God”; but it makes no significant difference as both views involve the notion of eternal torment. This may indeed be the traditionally prominent view regarding human damnation, but is it biblical? That is, do the Judeo-Christian Scriptures really teach it? Will the multitudes of people who reject God, and hence are rejected by God, really be subjected to never-ending misery — with no merciful pause to their agony? One might contend that it is heretical to even question such a long-standing, widely accepted teaching, but if this doctrine is truly scriptural then its proponents have nothing to worry about. Furthermore,all doctrines, no matter how traditional or popular, must be questioned in light of what the Bible clearly teaches, for it is the God-breathed Scriptures alone that we must look to for truth, not popularity or religious tradition. This is the theological principle of sola scriptura, Latin for “by Scripture alone,” which maintains that the Bible is the final authority regarding all judgments of Christian doctrine and practice. Because of this sound principle many traditional doctrines and practices have proven to be false over the years and have properly been corrected or discarded. Needless to say it’s a positive thing for Christians to periodically reevaluate their beliefs and practices because it helps prevent Christendom from straying from the Biblical model. Since reevaluating official church teachings is very much a part of the Christian heritage, and is indeed a healthy practice, there should be no problem here in entertaining the possibility that church tradition may be in error regarding this belief of perpetual fiery torment. I recently read in a major news magazine that this teaching of hell as eternal torture has all but disappeared from the pulpit ministry in both mainline and evangelical churches. Why is this so? Why are Christians who are committed to this doctrine so reluctant to openly and honestly preach it? Why do they mask what they really believe by saying that the unredeemed will ultimately “perish” or be “destroyed” or suffer eternal “separation from God?” Yes, you’ll hear ‘hell’ thrown around now and then, but you’ll rarely, if ever, hear anyone explain what he or she really means when using this term — that is, suffering fiery conscious torment forever and ever with no merciful respite from the misery. If this is so true, why is everyone so timid about spelling it out loud and clear? The answer is obvious: they’re ashamed of it. They’re ashamed of it because, as Clark Pinnock so aptly put it, the doctrine of eternal torture makes God out to be morally worse than Hitler “who maintains an everlasting Auschwitz for his enemies whom he does not even allow to die. How can one love a God like that? I suppose one might be afraid of Him, but could we love and respect Him? Would we want to strive to be like Him in His mercilessness?” (149). Let’s be honest here and tell it like it is: The doctrine of never-ending conscious torment makes God out to be a cruel, unjust, merciless monster. Who would possibly want to accept salvation from such a God? Although there are many good reasons for questioning this teaching, the most important reason is the simple fact that the Bible does not teach it. Contrary to the loud claims of its staunch supporters, it is not a Scriptural doctrine, and this is being realized by a growing number of biblically faithful Christians today. The Bible gives strong, irrefutable proof to any honest reader that hell, the lake of fire, signifies literal everlasting destruction for ungodly people, not eternal conscious torment. NOTE: This view is often referred to as “conditional immortality” or “annihilationism,” but I prefer “everlasting destruction” or “literal destruction” based on Paul’s statement in 2 Thessalonians 1:9. I consequently refer to it as such throughout this study. This is the main reason why so many Christians of all persuasions are embracing the doctrine of everlasting destruction not because they’re “going liberal” as supporters of eternal torment claim. It’s a case of going Biblical, not going liberal. For clear proof that literal everlasting destruction is what the Bible really teaches, let us simply turn to the pages of Scripture; after all, a thorough, honest study of the Bible will always reveal the truth. NOTE: See the commentary on this proverb in the appendix Old Testament Hell Verses if you don’t believe it is applicable to us today in an absolute sense. All these passages clearly describe the two separate destinies of the righteous and the unrighteous. The “righteous” are people who are in right-standing with God because they’ve accepted his sacrifice for their sins*, the “unrighteous” are those who are not in-right-standing with their Creator because they’ve rejected his offer of salvation. The former will inherit eternal life, whereas the latter will reap the wages of sin and be destroyed. *NOTE: Please don’t misinterpret this description of people as “righteous.” Our own righteousness apart from Christ is as “filthy rags” in God’s holy sight (Isaiah 64:6). To become in right-standing with God we must let go of our fleshly ‘righteousness’ in acceptance of God’s “gift of righteousness,” which comes through spiritual regeneration through Christ (see Romans 5:17 and 2 Corinthians 5:21). This is positional righteousness; practical righteous naturally occurs as the believer learns to put off the “old self” — the flesh — and live according to their new nature, which is “created to be like God in true righteousness and holiness” (Ephesians 4:22-24). Yet those who adhere to the eternal torture doctrine mysteriously don’t accept this blatantly clear biblical truth. They don’t believe that the two polar opposites are life and death; they believe the two polar opposites are eternal life in heavenly bliss and eternal life in burning torment. Sounds ridiculous, doesn’t it? They may not phrase it in such an open manner, but this is what they actually believe if we’re honest about it. Notice that life and immortality are only available through the gospel. What exactly is “the gospel?” The gospel literally means “good news.” Its main message is summed up in the famous passage John 3:16: “For God so loved the world that he gave his one and only Son that whoever believes in him shall not perish but have eternal life.” Note, once again, what is clearly being contrasted in both of these passages: In John 3:16 perish is contrasted with the gift of eternal life; in 2 Timothy 1:10 death is contrasted with both immortality and life, which are said to be made available through the gospel. If the eternal torture doctrine were true, these verses would be contrasting eternal life and eternal life being tortured, or immortality and immortality in fiery torment. I realize this sounds absurd, but the Bible would certainly speak in such honest, blatant terms if this teaching were true. Do you seriously think that God would be misleading or ambiguous about such an important issue in his Holy Word? The reason the Bible doesn’t speak in such ludicrous terms is because this doctrine of eternal conscious torment in not a biblical teaching. The above passage, 2 Timothy 1:10, makes it plain that until Jesus was raised for our justification, the power of death was not destroyed and therefore immortality was not available to us — life was not available to us. This is because we are all sinners (see Romans 3:23 and Ecclesiastes 7:20) and consequently all deserve death, “for the wages of sin is death.” God cannot overlook this because he is perfectly just. One person cannot pay the penalty for another because both are sinful and deserve death. The only way we can escape this imminent death penalty is if a sinless person, who does not deserve death, dies in our place. So what did God do? Because he so loved the world and didn’t want anyone to perish, he gave his Son as a sin sacrifice in order that we may have the gift of eternal life. The difference between wages and a gift is that wages are earned while a gift is free. Jesus paid the death penalty that we’ve all earned so that we can have the free gift of eternal life. The LORD did this so that we could fellowship with him forever instead of reaping the wages of sin, which is death. This fact that God Himself wants to have a relationship with us explains why the gospel is also referred to as “the message of reconciliation” (2 Corinthians 5:17-21). ‘Reconciliation’ means to turn from enmity to friendship. The gospel is good news indeed because, not only does it grant eternal life to those who accept it, but, more importantly, it enables us to have a relationship with the Creator of the universe! The passage could not be plainer: those who reject the Son “will not see life.” God’s word is absolute, and this is an absolute statement: Those who reject Jesus Christ will not see any life at all. This includes even a sadistic life in roasting agony for all eternity. Such people will be justly-but-mercifully put to death, absolute death, for this is the wages of their actions. But our loving Creator doesn’t want anyone to perish like this; he has provided a way to eternal life through his Son, Jesus Christ. NOTE: “Hell” in this text is translated from the Greek word Gehenna, which is an illustrative reference to the lake of fire. We’ll examine Gehenna in the next chapter. Notice that Jesus is telling us explicitly what God will do to unrepentant sinful people on the day of judgment: He will destroy both soul and body in the lake of fire, his chosen instrument of destruction. There is only one lawgiver and judge, the One [God] who is able to save and destroy. You see, God is going to do one of two things with people: he’s either going to save them, that is, grant eternal life to those who respond favorably to his love and gracious gift of life, or he’s going to justly but mercifully destroy them. He may or may not necessarily be the one who personally executes this sentence, but he is certainly the One who authorizes it. In this sense, at least, it is indeed God Himself who destroys the ungodly. Those who believe will be saved from the second death and granted eternal life whereas those who do not will be destroyed, both soul and body, in the lake of fire. It’s that simple. Why do religionists insist on making this simple truth so complicated and perverse? Do People Choose to Go to Hell? I’ve heard many people object to the above passages which state that God Himself is going to “destroy both soul and body in hell,” specifically adherents of the eternal torment view who for obvious reasons cannot take the word “destroy” literally. Their objection is that God isn’t going to destroy anyone because “people choose hell.” What they mean by this, of course, is that, consciously or subconsciously, people choose never-ending agony. Their reasoning is that we should not attribute something to God that he’s not guilty of — in this case, destroying people in hell — since people choose their fate. NOTE: It must be understood that those who adhere to eternal torture define the English word ‘hell’ as “eternal conscious torture.” So whenever they use the term ‘hell’ this is what they really mean. Since we have now been justified by his [Jesus’] blood, how much more shall we be saved from God’s wrath through him? For God did not appoint us to suffer [his] wrath but to receive salvation through our Lord Jesus Christ. NOTE: Many people will experience God’s wrath poured out on this earth during the second half of the future 7-year Tribulation, but the vast majority of unsaved humanity will not experience his wrath until the day of judgment. As James 4:12 above plainly states, God is either going to save people or destroy them. That’s why Jesus said in Luke 12:5 to fear God because he alone has the authority and power to cast people into hell, the lake of fire. And, as shown above, what did Jesus clearly say God would do to people there? He said He’s going to “destroy both soul and body” (Matthew 10:28). The Greek word translated as “destroy” in these two texts is repeatedly used in the Bible to describe the eternal fate of the unrighteous, as we shall observe in the very next section. So there’s absolutely no question that God is going to destroy people who reject his offer of salvation; this is simply the result of incurring his wrath. The question is what does “destroy” mean? Does it literally mean destroy, as I contend it does, or does it refer to never-ending torment? In either case, the uncontestable fact is that God Himself is the One who’s doing the destroying. There’s nothing morally or judicially wrong with the fact that God is going to irreversibly destroy sinful people who reject his gracious gift of eternal life. The Bible repeatedly makes it clear that the wages of sin is death, and God has also made sure that every human heart instinctively realizes this (see Romans 1:32). Thus, people who reject God’s redemption through Christ in favor of living a sinful lifestyle are indeed choosing the wages of their actions, death — whether consciously or subconsciously — and God, who respects their freewill, will unenthusiastically accommodate them. He alone is the ultimate authority and giver of life and therefore he has the authority and right to take life away — if he must. After all, justice demands the execution of the penalty of the law. In this case the penalty of the law is death — eternal death — death with no hope of resurrection. The apostle Paul refers to this sentence as “everlasting destruction” in 2 Thessalonians 1:9. Its execution is necessary in order that God may be just. A government which never calls offenders against the law to account is contemptible and wicked. The Biblical doctrine of eternal punishment is our assurance that God is essentially and unchangingly holy and just. So, to answer the question, do people “choose hell”? Certainly not in a literal sense. After all, people are not going to willingly and gleefully jump into the lake of fire on judgment day. No, God is going to judge them, dispose of them in the lake of fire and utterly eradicate them there. Why? Not because people choose hell, but because people choose sin, and the wages of sin is death. And God, who is the ultimate authority, lawgiver and judge, is the One who will execute this death sentence. He, once again, may not necessarily be the one who personally executes this sentence, but he at least executes it in the sense that he authorizes it. Although, based upon the scriptural evidence, I personally believe that God Himself executes the sentence (we’ll observe support for this as our study progresses, even though the matter is inconsequential). Incidentally, the very fact that some people who adhere to the view of eternal torment argue that God is not Himself guilty of tormenting people forever proves that the idea of eternal conscious torture is indeed a profoundly disturbing concept which naturally offends our moral and judicial instincts. The only way these people can accept this idea and live with themselves is by believing that their good, loving God is not the one carrying out this sadistic sentence. We’ve viewed some pretty clear biblical texts which plainly state that unrepentant sinners will ultimately perish and be destroyed. Let’s dig a little deeper and trace these words to the original language in which they were written. The words “perish” (from John 3:16 and Luke 13:3,5) and “destroy” (from Matthew 10:28 and James 4:12) are both English translations of the Greek word apollumi (ah-POHL-loo-mee) which literally means “to destroy utterly” or “to perish” (Bulinger 220; Vine 164). NOTE: All spellings and pronunciations of biblical Hebrew and Greek words are based on Strong’s Exhaustive Concordance. As you can see, apollumi here simply refers to drowning. 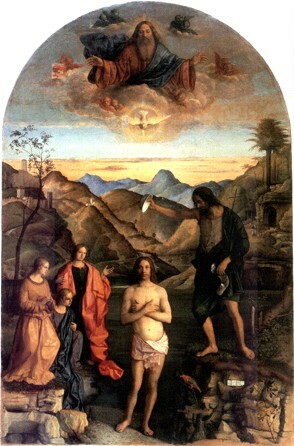 Apollumi is used 26 other times in the New Testament in reference to the first death. Likewise, Homer, in his epics of Greek antiquity, used apollumi chiefly of death in battle. For the message of the cross is foolishness to those who are perishing (apollumi); but to those who are being saved, it is the power of God. They perish (apollumi) because they refuse to love the truth and be saved. He is patient with you, not wanting anyone to perish (apollumi), but everyone to come to repentance. All these texts are indeed referring to what will happen at the second death and yet, once again, there is mysteriously no mention whatsoever of eternal roasting in conscious torment. In view of such blatantly clear biblical evidence, how can adherents of the eternal torture doctrine possibly maintain their view? Their theory is that, in all these cases, the Greek word apollumi does not literally mean “to destroy utterly” or “to perish,” but rather that the idea is “not extinction, but ruin, loss, not of being, but of well being” (Vine 164/Pearlman 387). This theory is a good example of trying to make the Scriptures line up with one’s favored doctrine rather than lining up one’s doctrine with what the Scriptures literally teach. NOTE: Jesus no doubt spoke in Hebrew or Aramaic during his earthly ministry but Luke, inspired by the Holy Spirit, had his words recorded in Greek. “Ashes” here is the Greek word tephroo (tef-ROH-ro) which means “to incinerate, i.e. consume” (Strong 71), and apollumi is the Greek word used to describe this absolute incineration as shown above in Luke 17:29. My point is that apollumi, in this case, refers to utter destruction and perishing in the sense of complete incineration. The idea “not extinction, but ruin, loss, not of being, but of well-being” does not fit here at all because the well-being of Sodom and Gomorrah wasn’t merely ruined; these cities were completely and finally destroyed by incineration — forever obliterated! We know Peter is specifically referring here to what will happen to the ungodly on judgment day when they’re thrown into the lake of fire — the second death — because this will be the only time that all the ungodly will experience a fate comparable to the judgment of Sodom and Gomorrah. If the incineration of Sodom and Gomorrah is a true, trustworthy example of what will happen to the ungodly when they suffer the second death, then we must conclude that the ungodly will, in fact, be incinerated; and if it is certain that the Greek word apollumi definitely refers to absolute incineration in reference to the destruction of Sodom and Gomorrah, then it naturally follows that apollumi must also refer to absolute incineration when it is used in reference to the second death because the incineration of Sodom and Gomorrah is an example of the second death. So, as you can see, by following the hermeneutical law of allowing Scripture to interpret Scripture we have a clear understanding that the Greek word apollumi, when used in reference to the second death (e.g. Matthew 10:28), refers to nothing other than complete and final destruction. Thus the silly theory of “not extinction, but ruin, loss, not of being, but of well-being” is proven false. Let’s begin with the Greek word thanatos (THAYN-ah-tohs). This word simply means “death” (Strong 35), the express opposite of life according to Romans 8:38 and therefore the cessation of conscious existence. Thanatos is most often used in the Bible simply in reference to the death that all human beings must one day experience — the first death (e.g. Acts 23:29). The first death therefore refers at least to the cessation of conscious existence in the physical realm. As important as it is to point out what the Bible does say, I think it’s sometimes important to point out what the Bible does not say as well. In this case, notice that Jesus does not say, “if anyone keeps my word he will never see eternal life in conscious torment.” Jesus doesn’t say this, does he? No, he simply states that those who keep his word will never see death — the second death — the destruction of soul and body in the lake of fire. The second death is the ultimate consequence of sin. “The wages of sin is death” (Romans 6:23), “sin… leads to death” (Romans 6:16), and sin will “result in death” (Romans 6:21). “Death” in all these texts is the Greek word thanatos; and they all refer to the ultimate penalty of sin — the second death. You should know that whoever brings back a sinner from wandering will save that sinner’s soul from death (thanatos). 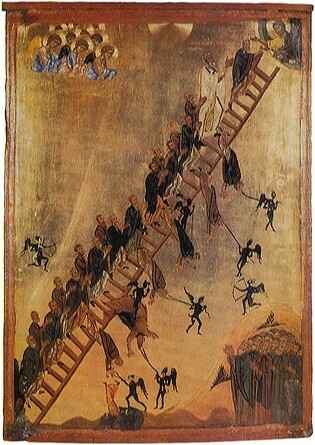 We clearly observe here that if a person is not brought back from the error of a sinful lifestyle, their soul will die! When did Jesus say a soul would die and by whom? He said that God Himself would “destroy both soul and body in hell” (Matthew 10:28). So we know this text is definitely a reference to the second death as well. Notice that a sinner’s soul is not saved from never-ending roasting torment, but from death. The Bible’s repeatedly clear on this matter. The Greek word apoleia (ah-POHL-lee-ah), which is the noun form of apollumi, refers to utter destruction and is often used in reference to the eternal fate of the ungodly, i.e. 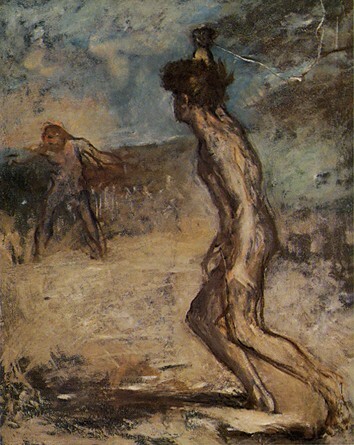 the second death. This is the case with the aforementioned Matthew 7:13-14 where Jesus stated “wide is the gate and broad is the road that leads to destruction (apoleia) and many enter through it.” Jesus spoke of this destruction in direct contrast to the “life” that would be granted to the righteous “few;” so obviously apoleia is the direct opposite of life, namely death. By the same word the present heavens and earth are reserved for fire, being kept for the day of judgment and destruction (apoleia) of ungodly men. The day of judgment is the day when ungodly people will suffer everlasting destruction. This is their “eternal punishment” as God destroys “both soul and body in hell” (please notice that I said “eternal punishment” and not “eternal punishing;” there’s a difference). This is the ultimate destiny of God’s enemies as Paul verifies in Philippians 3:18-19: “For, as I have told you before and now say again even with tears, many live as enemies of the cross of Christ. Their destiny is destruction (apoleia).” Thus the Bible repeatedly refers to God’s enemies as “doomed to destruction (apoleia)” or “prepared for destruction (apoleia)” (for example, John 17:12b; 2 Thessalonians 2:3 & Romans 9:22). Apoleia is also translated as “destroyed” in reference to the eternal fate of God’s enemies: “…they will be destroyed (apoleia)” (Philippians 1:28), “we are not of those who shrink back and are destroyed (apoleia)” (Hebrews 10:39). The eternal destiny of ungodly people who reject God’s love in Christ is destruction — they will ultimately be destroyed. Seriously, how much plainer could the Bible be on the subject? In flaming fire taking vengeance on them that know not God, and that obey not the gospel of the Lord Jesus Christ: (9) Who shall be punished with everlasting destruction (olethros) from the presence of the Lord, and from the glory of his power. The first part of this text reveals that God will punish those who reject the gospel, and verse 9 reveals exactly what this punishment will be: everlasting destruction. This obviously refers to destruction that lasts forever and not to an endless process of destroying without ever quite destroying as supporters of eternal torment weakly argue. After all, to perpetually destroy without ever destroying isn’t really destruction because the destruction never actually takes place. It would be everlasting torment but not everlasting destruction. Adherents of eternal torture also argue that if, in fact, “destruction” refers to complete extinction it would be unnecessary to describe it as “everlasting.” Yet the reason the destruction is described as everlasting is obvious: “Everlasting destruction” is a reference to the second death. The second death is different from the first death in that everyone is resurrected from the first death to face judgment. There is, however, no such resurrection from the second death; it is a death that lasts forever — an “everlasting destruction” — destruction that lasts forever. The text goes on to reveal that this everlasting destruction shall proceed “from the presence of the Lord, and from the glory of his power.” This is further proof that it is God Himself, the supreme authority and judge, who will execute the everlasting destruction of the second death. The New International Version translates verse 9 as “They will be punished with everlasting destruction and shut out from the presence of the Lord and from the majesty of his power.” This translation is acceptable as well, as both versions could be read together as such: God will punish the ungodly with everlasting punishment which proceeds from his presence and, consequently, removes or eradicates them from his presence forever (Fudge/Peterson 60). To shed a bit more light on the meaning of olethros, the Greek word translated as “destruction” in this text, the verb form of this word, olothreuo (ol-oth-RYOO-oh), is used in Hebrews 11:28 in reference to the death angel — “the destroyer” — who slew all the first-born of Egypt (see Exodus 12:29). So we’re talking about destruction in the sense of slaying here, which will be executed by God himself on “the day of judgment and destruction of ungodly men” (2 Peter 3:7). Let’s examine yet another Biblical word used to describe the second death, the Greek word apothnesko (ap-oth-NAYS-koh). Apothnesko simply means “to die off” (Strong 14) — to cease to live — and is exclusively translated as “die,” “died,” “dies,” “dead,” “dying” and “death” in the New International Version of the Bible. Unsurprisingly, apothnesko most often refers to the death all humans and animals must face at the end of their earthly sojourn. For instance, apothnesko is used in Matthew 8:32 in reference to pigs which “died in the water” and also in Revelation 8:9 and 16:3 in reference to millions of sea creatures which “died.” We can confidently deduce that apothnesko refers to the utter cessation of life in these cases. Apothnesko is also used a myriad of times in reference to the (first) death of human beings (e.g. Acts 9:37). For if you live according to the sinful nature you will die (apothnesko); but if by the Spirit you put to death the misdeeds of the body, you will live. In this text Jesus is likening himself to the “bread of life… that comes down from heaven” in comparison to the earthly “bread,” manna, which God miraculously provided for the Israelites when they were wandering in the desert (see Exodus 16:15,31). We know for certain that, in verse 50, Jesus is not referring to the first death because even people who partake of the bread of heaven — that is, accept Jesus as Lord — will one day die. No, Jesus is referring to another death — the second death. We could succinctly sum up this passage as such: Those who partake of Jesus, the heavenly bread of life, will not suffer the second death, but will live forever. Apothnesko appears twice in this passage as well; and, like the previous passage, the first time it is used in reference to the first death and the second time in reference to the second death. As we have observed from the texts we’ve examined in this section — Romans 8:13, John 6:50 and John 11:26 — the Greek word apothnesko, meaning “to die,” is used to describe the second death. Why? Obviously because the people thrown into the lake of fire on judgment day will die. Certainly there will be a period of conscious suffering as with any execution, however long or brief, and no doubt this suffering will be meted out as divine justice requires for each individual; but the final, everlasting outcome for all people thrown into the lake of fire is that they will die. If this were not so, the above passages would not use apothnesko to plainly describe the second death. As we have plainly seen, the usual, basic meaning of the Greek word apollumi — “to perish” or “destroy utterly” — is backed up by many other biblical words which likewise describe the second death strictly in terms of literal death and complete destruction. and that they would perish (John 3:16; 2 Peter 3:9). So there you have it in a nutshell — Jesus and the apostle’s description of the second death: die, death, destruction, destroy and perish. We could appropriately describe these terms as the “language of destruction.” As we have seen, this “language of destruction” is consistently used to describe the eternal fate of the ungodly; not the language of eternal conscious torment, not the language of “eternal separation from God,” not the language of “ruin, loss, not of being, but of well-being,” but the language of destruction. My obvious point here is that if the eternal fate of unrepentant sinners is to be some sort of perpetual life or existence in separation from God in utter roasting misery and torment, God could have said so. He could have used words which have for their basic meaning “separation from God,” “existence in torment,” or “life in misery.” But he did not do this. He consistently used words which have for their general, usual, or basis meaning “die,” “death,” “destruction,” “destroy,” and “perish.” If language means anything at all, we have no choice but to conclude that the second death will be a literal death — utter, awful, complete and final. In the very beginning, God explained to Adam just what death is, surely Adam had no true understanding of what death was. So, God broke it down for him, nowhere in God’s explanation to Adam is there any mention of eternal torment. Surely, a loving, merciful Father would warn his child of this fate that is more horrible than none existence, eternal death. Did God forget to warn Adam of this? I don’t think so! Here again God explain the fate of those who live in sin, they shall be as though they had never been! To be as though they had never been, is to be as they were before they were born, non-existent. Here again, God explains the fires of hell; it burns as an oven. He tells of it purpose: to leave neither root nor branch. If as the Word of God teaches, that “it is the spirit that liveth and the flesh profit nothing,” then the spirit of man is very root of man. If the fires that burns as an oven (hell) destroy the very root of man leaving neither root nor branch, then the fire of hell has destroyed all traces of any evidence that that man ever existed. This teaching that man is immortal (living in eternal torment) is what caused the fall of man. This is what Satan said to the woman in the garden, that man shall be as the Gods, he went on the say that God is a liar; he says God was lying when the LORD said that man would surely die. Don’t people realize that when they claim that man is immortal that they agree with Satan/the snake when he states that God is a liar? If God says I can die leaving neither root nor branch I will not call my God a liar and believe the snake. I believe you are doing a great work here, the God of the bible that I have come to know and love is not a monster! Hey i so want to believe in the hell at the day of judgement day and that its not some place under the ground where we are tortured . And that the sinners finally will be annihilated. then the Lord knows how to rescue the godly from trial, and to keep the unrighteous under punishment until the day of judgment . This and Lazarus and the rich man seems at least to me to show torture immidiatly after death for some. Even if the parable of Lazarus and the rich man isnt strictly litteral what is the point of it if not to warn people for hell ? Also the Bible talks about a furnace of affliction . This is not referring to either Sheol (Hades) or the second death (i.e. the lake of fire), it’s referring to Israel’s severe afflictions, including the Babylonian captivity, the God-approved consequence of her unrepentant apostasy. Thank you for your feedback, Rick. I encourage you to read & study both HELL KNOW and SHEOL KNOW for further exposition on human damnation and all linking topics. God Bless You, Brother, as You Seek & Serve! Amen. 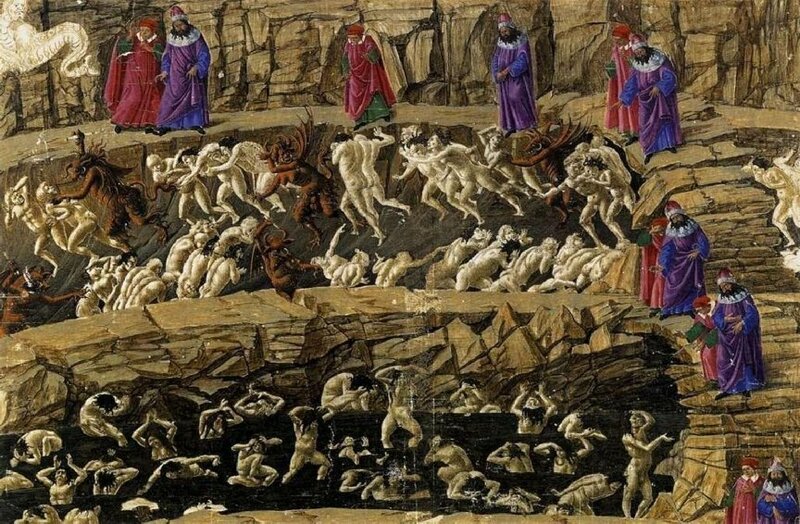 A lot of the confusion in the body of Christ concerning the nature of human damnation can be traced to failing to distinguish Sheol (Hades) from the Lake of fire (Gehenna, aka hell). Where does the LORD “hold the unrighteous for punishment on the day of judgment”? The answer is Hades, as shown in Revelation 20:11-15. On the Day of Judgment they will be resurrected from Hades and judged; whoever’s name is not found written in the book of life will be cast into the lake of fire, which is the second death where God will “destroy both soul and body” (Matthew 10:28). Hades corresponds to Sheol in the Hebrew. Sheol (Hades) refers to the intermediate state of unredeemed souls (people) between physical death and their resurrection on Judgment Day. For a thorough study on the nature of Sheol (Hades) see my web-book SHEOL KNOW. I recommend the published version because it’s unabridged, which you can purchase for a low price here. Those who claim that Sheol is a torture chamber in the heart of the earth where unrighteous souls suffer constant roasting torment until their resurrection on Judgment Day sometimes cite Deuteronomy 32:22 to support their view, but they’re not too enthusiastic about it because it lacks the diabolical details inherent to their position. Thankfully, the meaning of the verse is clear within the context. •	The Israelites’ crops will fail (verse 22). •	The LORD will “heap calamities” on them and many will perish as God spends his “arrows against them” (verse 23). •	The failure of their crops will result in famine (verse 24). •	God will send a “deadly plague” (verse 24). •	They will be struck down by the “fangs of wild beasts” and the “venom of vipers” (verse 24). •	On the streets and in their homes “the sword” will take them out, which is figurative of any deadly weapon of evildoers or foreign invaders (verse 25). •	God’s sentence for the community of idolaters—young and old—is death, for that is the wages of sin (verse 25). While this might seem like a harsh punishment it’s in line with the terms of the Old Covenant that the LORD had with the Hebrews. The terms were simple: blessings for obedience to God’s law and curses for disobedience (see Deuteronomy 28). If the Israelites were willing to humbly repent of their idolatry it would’ve resulted in God’s mercy and forgiveness, but this obviously wasn’t the case. They were obstinate about their sin. As you can see from the passage itself, the LORD’s wrath against the idolatrous Israelites would result in the sentence of death through various means. This explains why verse 22 says that the fire of God’s wrath burns down to the realm of the dead below — because the outcome of God’s wrath is death for “the wages of sin is death” (Romans 6:23). The souls of those who die would be housed in the realm of the dead in the heart of the earth below, i.e. Sheol. You see? The passage is simple to understand when you grasp both the nature of Sheol and the biblical penalty for sin — death, not constant fiery torture. With this understanding, notice that absolutely nothing is said about souls in Sheol suffering roasting torment without a tiny bit of water for relief; neither is anything said about a “paradise” compartment that also supposedly exists in Sheol. Why not? Because they’re false doctrines foreign to the Scriptures. Thanks alot! This makes so much sense ! “Context is King” is a hermeneutical law and so what’s important is the meaning of apollumi in context of human damnation. This is covered and proven in this section, which shows that the common definition of apollumi — “to destroy utterly” or “perish” — applies. Moreover, this definition is backed up by numerous other Greek & Hebrew words variously translated as die, death, destruction, destroy and perish, as the rest of this chapter and subsequent chapters of Hell Know illustrate. All this is further reinforced by the numerous simple-to-understand examples of literal destruction that Christ and other biblical characters used, like weeds thrown into fire, Luke 19:27 and the very word for “hell” itself, Gehenna, the Valley of Hinnom. See Chapter Two for more details. All this is further backed-up by the fact that eternal life and immortality are only available to people through the gospel of Christ (2 Timothy 1:10). This is covered in detail in Chapter Four. What I was trying to get across with my previous post is that the issue of human damnation doesn’t hinge on the meaning of a single Greek word (as important as that is); it’s a case of many factors pointing in the same unmistakable direction of literal everlasting destruction. I forgot to mention: The issue of Apollumi being translated as “lose” or “lost” is addressed in this section of Chapter Two and the following two sections. Obviously there won’t be wicked people just outside the gates of the new Jerusalem because the new heavens and new earth are the “home of righteousness” (2 Peter 3:13). The revised NIV refers to it as the place “where righteousness dwells,” not the place “where righteousness dwells in the city while wickedness dwells without.” The “new heaven and new earth” refer to the coming eternal age where “There will be no more death or mourning or crying or pain, for the old order of things has passed away”; it’s where the LORD makes everything new (Revelation 21:5). You can read more about this in the Epilogue of Sheol Know. The problem lies with the dubious rendering of the Greek text by English translators. The linking verb “are” in the phrase “Outside are the dogs” is not in the original text. This is significant because, by adding ‘are’ to this rendition of the text, it gives the impression that these people will still be alive in the era of the new heavens and new earth. And coupled with the word “outside” it seems like they’ll be hanging right outside the gates of the new Jerusalem. Christ gave this natural example to illustrate the way it will be with people at the end of this age. What happens to bad fish that are thrown away? Do they exist forever in a state of constant torment or do they suffer for a bit and then perish? Jesus follows up with verses 49-50 where he says that angels will separate the wicked from the righteous at the end of the age and throw the wicked into a “blazing furnace.” Being cast into such a furnace indicates nothing other than horrible and total incineration. This is further emphasized by Jesus’ explanation of the Parable of the Weeds in verse 40 of the same chapter: “As the weeds are pulled up and burned in the fire, so it will be at the end of the age.” What happens to weeds cast into fire? Obviously they burn for a little bit, but ultimately burn up. Why did Jesus use unmistakable illustrations like these? Because they’re unmistakable. Only a stuffy theologian could miss their obvious meaning. Once again, the point cannot be mistaken: The branches are thrown away into the fire where they are burned. Just like the weeds, the branches burn up in the fire; they don’t burn forever and ever without quite burning up. Being “thrown away (exo)” in these passages are a reference to Gehenna — the Valley of Hinnom — which Christ used as an example of the lake of fire or second death (Matthew 10:28). 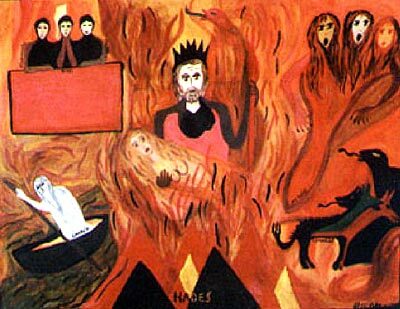 The figurative “fire” is also an obvious reference to the lake of fire. Gehenna was a perpetually smoking trash dump where all manner of refuse was cast for the purpose of disposal and incineration. It’s not a pretty picture, but it drives home a powerful point: Those who choose to be God’s enemies become God’s garbage and will thus be thrown away — exó — and exterminated, like garbage. This is covered in more detail at the beginning of Chapter Two. Lastly, the Greek for “practices” in Revelation 22:15 is the verb poieó (poy-EH-oh), which can be past tense, present tense or future tense depending on the context. Also keep in mind the sequence of events of Revelation chapters 20-22. In 20:11-15 the unrepentant wicked are cast into the lake of fire to suffer the second death. Then chapters 21-22 detail the establishment of the new heavens and new earth, the “home of righteousness.” The wicked have already been taken care of by this point — cast into God’s garbage dump and destroyed. Revelation 22:12-21 is the epilogue of Revelation (and the Bible itself) with Christ speaking in verses 12-16 & 20. Thanks for clearing this up so well. Consider a 70 year old man, a heathen his entire life, and a rejecter of Christ. Not only lost, but did horrible things during his life and lived an impure and unsavory, hedonistic life style. This man dies and is sent to hell to burn for an eternity. Now consider an 18 year old young man. He, just as the 70 year old man, is a heathen and a rejecter or Christ. This young man dies and–according to proponents of eternal punishment–is also sentenced to the same hell to burn for an eternity. How is this a fair judgment by a God who scripture says will “Judge each one according to his deeds? This 18 year old man has hardly lived! Let’s generously say his age of accountability (which has no number, but is different for every person) was 10. What hedonistic, unsavory behaviors could he have committed, still under mom and dad’s purview for the next 8 years, that would gain him the same punishment of a man doing it for 3 times as long? Is this justice? Not even our human courts with its unjust judges and faulty laws would do such a thing! I hope that illustration helps someone; it sure helped me. Thanks for the feedback, Raul. We address those very types of questions in this chapter. I didn’t read any references here to the Rich Man and Lazurus. The Rich Man sure seems to be suffering without “perishing.” I know most theologians don’t equate this with the final hell (he is in Hades awaiting final judgment? ), but it does seem to indicate a long term (if not eternal) suffering. How do you explain this? Thanks for the feedback, Wayne. This article isn’t just one article on human damnation, but rather one chapter of a detailed book on the subject. Human damnation and everything that goes with it is a vast topic and we couldn’t possibly cover every issue in one chapter. Actually, this website features three books on the topic, two written by me: Hell Know covers the nature of the second death and all linking topics, whereas Sheol Know covers the nature of Sheol/Hades, which refers to the “intermediate state” of unregenerated souls between death and resurrection. The Contents Page for Hell Know (with links to all the chapters) can be found here. The Contents Page for Sheol Know (with links to all the chapters) can be found here. As for the Jesus’ story of the rich man and Lazarus: This is a parable — a symbolic story — which comes in a long line of parables. In fact, it starts out with the very same words as the previous parable in Luke 16. Furthermore, as you indicate, the word “hell” in the story is Hades in the Greek (not Gehenna), which — again — refers to the intermediate condition of unsaved souls between death and resurrection and not to the lake of fire or “second death” (Revelation 20:11-15). As such, even if someone were to misread the tale as a literal chronicling of the nature of Sheol/Hades, it doesn’t apply to the nature of the second death. Sheol Know features an entire chapter devoted to the parable of the rich man and Lazarus, which you can find here. God Bless You in Your Studies, brother. I have been horribly troubled lately about the thought of eternal torture. It seems to be the dominant position in evangelical circles. Folks throw “eternal suffering in Hell” around thoughtlessly … as if they don’t ponder what that really means. I can’t fathom being in alone, in the dark, in unending pain … if you have been there a billion years you haven’t even really started. I have always just left in the mystery category and left it to the “Judge of all the earth to do right.” Recent experiences have not allowed me to leave it alone — thanks for shedding some light on a troubling topic. I have many more questions (e.g., Do The Beast and False Prophet endure for 1000 years in the Lake of Fire?, etc…) I’ll have to read your books.. are there many other evangelic theologians that share your view? Folks throw “eternal suffering in Hell” around thoughtlessly … as if they don’t ponder what that really means. I can’t fathom being in alone, in the dark, in unending pain … if you have been there a billion years you haven’t even really started. Well said, Wayne; I know what you mean! While there will always be some measure of mystery this side of glory (1 Corinthians 13:12), Human damnation (and all linking topics) is a vast topic in the Bible and thoroughly covered, which takes away a lot of mystery. Jesus said it’s those who continue in the Word who are really his disciples; they will know the truth and the truth will set them FREE (John 8:31-32). I encourage you to read through Hell Know and Sheol Know at your leisure, as they will answer practically any question that comes to mind, like the issue of the Beast and False Prophet, which is addressed here. Be at peace, brother, and continue in your studies; the truth will set you free. If you have any questions/comments/rebukes you’re welcome to write me at dawaren@msn.com . are there many other evangelical theologians that share your view? Yes! And more and more as the truth gets out. Some are listed in this section of Hell Know. Then there are the brothers & sisters at Rethinking Hell (Google it). The other book on this website, D. Barry’s Conditional Immortality, lists more advocates of literal everlasting destruction. 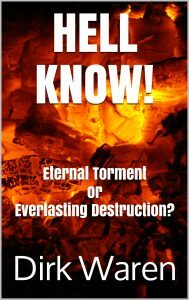 http://www.whatchristianswanttoknow.com/is-hell-really-eternal-does-the-bible-say, and get more by googling hell is eternal. Thanks for the links to the eternal torturist perspective. I read the first one before and skimmed through the other one just now. Human damnation and everything linked to it is a massive subject in the Bible, which is why both Hell Know and Sheol Know are so long and thorough, but you’ll notice that these articles don’t go into much detail. Why? Because they can’t. For one, there are only a handful of passages that they can cite to support the eternal torture view, which are easily explained, as shown here. Secondly, if they honestly went into more detail it would support the view of literal destruction, as shown throughout Hell Know. What is it about “die,” “death,” “destruction,” “destroy” and “perish” don’t they get? How hard is it to grasp Jesus’ explanation of the Parable of the Weeds: “As the weeds are pulled up and burned in the fire, so it will be at the end of the age” (Matthew 13:40)? How about the simplicity of the King’s judgment in Luke 19:27 (the king in the story represents the LORD, of course)? How about the simple fact that eternal life and immortality are only available through the gospel (2 Timothy 1:10 & Romans 2:7)? Everything lines up and points to damned people being literally destroyed in the lake of fire, not consciously tormented for ever and ever (Hebrews 10:26-27). Thank you. I have told God in three person to F off, because of this unfair hell thing. But the Holy Spirit had show me that God is not the God of torture penalty. Thanks for your honest testimony, Melanie! I too wanted to defend our Father from the traditional Biblical position and understanding of hell. I chose the same approach that you have followed on this issue. But then I came to Revelation 14:11 and felt I could not refute it. How do you deal with this verse? All scriptural passages pertinent to human damnation are covered in either Hell Know or Sheol Know. The particular passage you’re referring to is covered here. You can pick up the published version of Hell Know here. The published version is freshly edited with extra sections and is just an all-around superior version of the book. Thank you again. Now that I want to go back to God. Sure thing, Melanie. God bless you as you seek & serve! Hi Peter, I am one of the other authors and wanted to just add a bit of icing onto the wonderful response by Dirk. I know you wrote over a year ago, but this link might help others who have the same question as you. Bless you. I am 68 years old and have always had a problem with the idea of an eternal torment in Hell. It just doesn’t fit the character of God that I see throughout the Bible. I just discovered good articles like yours that have convinced me that the church got it wrong somewhere down the line. Now my question is “why does God allow us to get so far off base?” I’ve also learned in the last few years that much of modern eschatology teaching was developed in the middle 1800’s which would mean that everyone before that was wrong in the way they taught about the end times. Maybe a child should start life outside of a church and just learn on his or her own from the Bible without the influence of bad teaching. Maybe not a practical idea but you know what I mean.